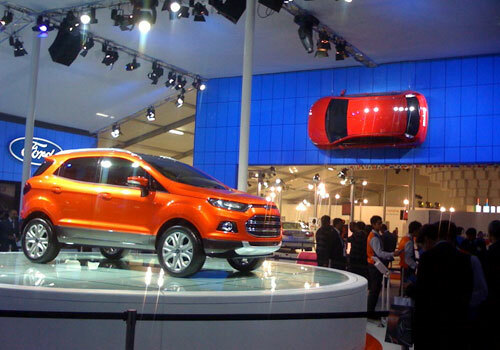 Finally, the much awaited, sensational SUV (Sport Utility Vehicle) Ford EcoSport has been displayed on the very first day of 2012 Auto Expo. This all new global SUV has already tasted success in overseas markets and now aiming high to achieve 50% sales by the mid-decade to million vehicles in a year, said official sources. The SUV was first introduced yesterday in the National Capital. In India, Company will invest $142 million for its Chennai plant for the domestic manufacturing and export of Ford EcoSport SUV. This plant will have production capacity of 2, 00, 000 units annually. 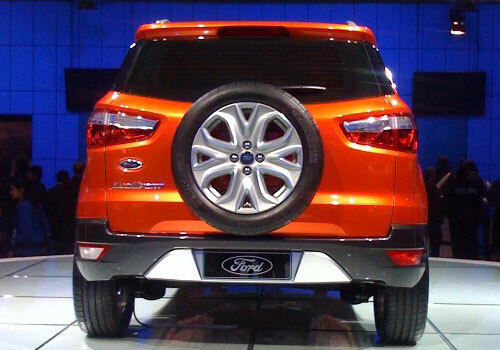 The sporty and robust design of Ford EcoSport impresses everyone at the first glance. The overall design will make you remember of the B-segment Fiesta platform. Its big bumper, re-designed fog lamps & tail lamps, headlights, large & light-weight alloy wheels, rear view mirrors and entire chassis with fine finishing make the perfect picture. The high-quality material with rich sophistications gives it a ultimate feel of lavish comfort, even in heavy traffic jams. The balanced seat arrangement of the driver gives perfect view of the outer world. It is to be available in three color choices: Blue, Silver and Red. 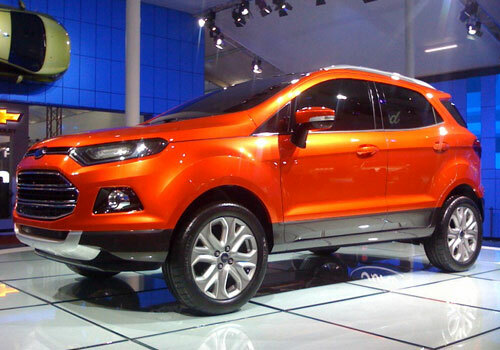 The brand new Ford EcoSport SUV is claimed to be available in a 1.0 litre petrol engine. Both the engines are coupled with manual or automatic gearbox. Having powered with a 1999cc engine it delivers maximum power of 88.7bhp and an impressive torque. The mileage and fuel efficiency bring a long-lasting smile on buyers faces, when there is a constant hike in fuel price, interest rate and inflation. The advanced safety features like airbags anti lock system etc. ensure safe and smooth drive. very nice SUV full dashing & sporty look, i am waiting for launching.